Welcome our new Neighbour, Jesus! This weekend, Christ-followers everywhere will celebrate the birth of our Saviour, the Lord Jesus. This is nothing new; the church has been marking this celebration for almost 2,000 years. This was no ordinary birthday, of course: this birthday, unlike any other, changed the course of history. There have been many people who, for good or ill, have changed the course of history through their life’s actions, but no one, before or since, has changed history by virtue of being born. Some pretty important babies have been born over time; heirs-apparent to thrones, children of religious leaders, and the like, have been born with the potential for greatness. Sometimes that has been realized, and sometimes not. But Jesus, when he was born, changed history not just from that starry night forth, but from eternity. Do you see the difference? Our friends in the United States mark the birthday of Martin Luther King, Jr., but no one imagined on that chilly January day in 1929 that this little preacher’s kid would change not only the course of American history, but the destiny of Black people everywhere. His life, and his untimely death, resulted in a revolution of thought and action that led to the celebration of his birthday each year by our American cousins. But Jesus was recognized for the change he would make to history from the point of his birth, and even before. As we read the Old Testament prophets, we see how the foretelling of his birth also predicted the change that would occur in the world hundreds of years before the Babe of Bethlehem took his first breath. This wasn’t just a man who was going to make the world a better place. This was God, in human flesh, who had come to save the world. His name itself – Jesus – is a variant of the Hebrew name Joshua, which means “the Lord saves”. What we celebrate at Christmas is God coming into the world in a whole new way. After the fall of humanity, God spoke only through prophets. But by becoming incarnate – having skin on him – God became one of us, and changed the course of the world he made by living, teaching, and ultimately dying and rising again. We can’t look at the manger without also looking at the cross and the empty tomb. But the thirty-three years of Jesus’ earthly life are not the end of the story, for in that time Jesus promised the Holy Spirit, which he sent at Pentecost, so that he could live in and with his people forever, until he comes again to receive his own to himself. From that night on, God has lived among his people. Our celebration of Christmas stands as an annual reminder that God is with us. Jesus is Emmanuel – God with us. And he is with us still today. “The Word became flesh and blood, and moved into the neighbourhood” (John 1.14, The Message). And the great news is that Jesus isn’t just our neighbour; he lives in us by faith, through his Spirit. 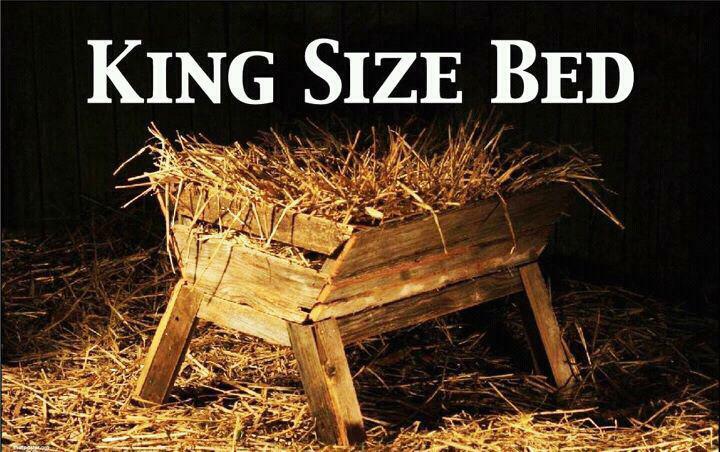 See you at the manger.